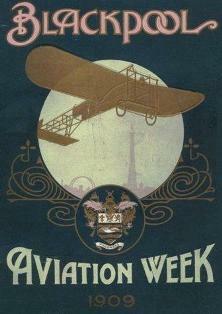 The first "official" aviation meeting to be held in the United Kingdom, was staged at Blackpool, in 1909. A rival event was being held at Doncaster on 15th-23rd October but the Blackpool event had the "official" backing of the Royal aero Club. 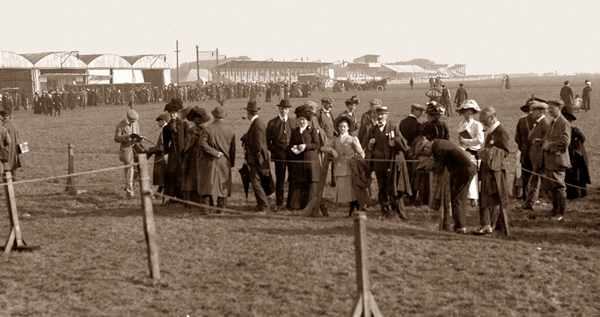 Blackpool Aviation Week took place on land at Squires Gate (the boundary between St.Annes & Blackpool), opening on 18th October 1909. 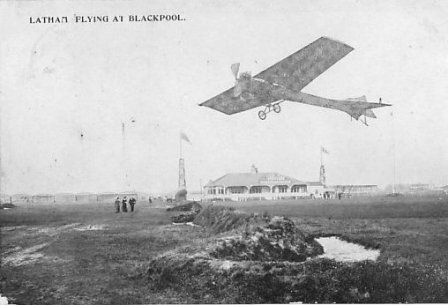 Blackpool Aviation Week in 1909 or 1910. Squires Gate Lane viewed from the top of a tram on the railway bridge. 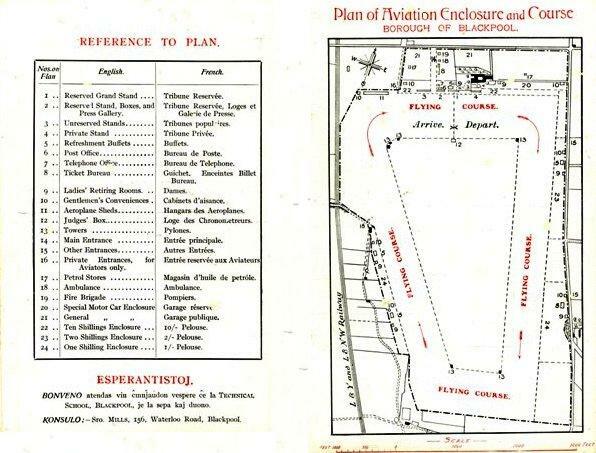 To the right is the tram depot and behind is the flying course (now Blackpool Airport. Opposite, to the left, is Lytham Road. Click here for a similar, recent view. Thousands came from all over the country and for the first time they saw heavier than air machines take to the skies. 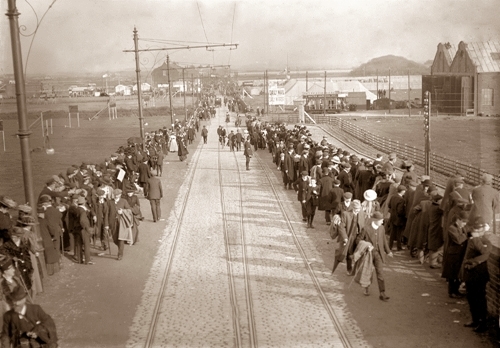 Visitors to Blackpool Aviation Week in 1909 or 1910. 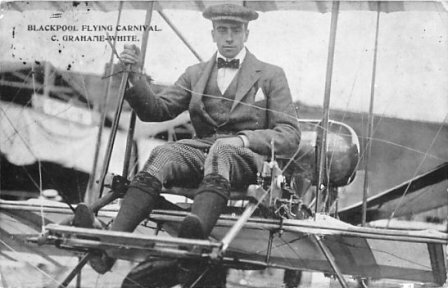 Film footage of the 1910 Blackpool Aviation Meeting.